New York: The Limited Editions Club, 1982. Hardcover. Near Fine. Joseph Mugnaini. 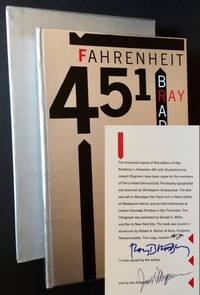 One of the scarcest of all copies within the limitation of the 2,000 copies signed by both Ray Bradbury and the illustrator Joe Mugnaini. This is a "lettered" copy (letter 'G') and, just below the signatures at the limitation, states in blindstamp: "ONE OF 26 PRESENTATION COPIES, OUT OF SERIES". One can certainly assume that almost all of these Presentation copies were given to close friends and family of Bradbury, Mugnaini and the publisher, and that very few of these "lettered" copies reached the market. This is a very sharp copy to boot. Clean and easily Near Fine in its aluminum boards, with both the cautionary slip ("Fragile: This Book Is Bound in Aluminum -- Sensitive to the touch") and the Monthly Letter of the Limited Editions Club laid-in. Quarto, nicely illustrated thuout by Mugnaini. 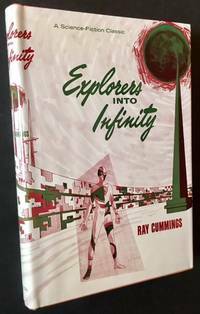 Also includes a handsome, very sturdy example of the matching aluminum slipcase, with just a touch of very faint rubbing at the panels. New York: Avalon Books, 1959. Cloth. Near Fine/Very Good +. The 1959 1st edition. Solid and Near Fine in a crisp, price-intact ($2.75), VG+ dustjacket. (The book shows a very thin trace of gum along its edges and the dustjacket shows a bit of creasing to the covers from the publisher's original "Plasti-Kleer" jacket cover, now removed). 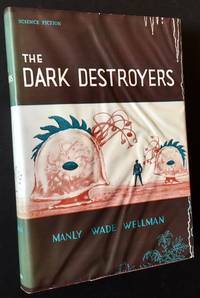 12mo, dustjacket design by Ed Emshwiller. This copy directly from the publisher's personal files. New York: Avalon Books, 1967. Cloth. Near Fine/Near Fine. 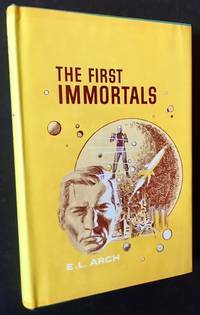 A sharp copy of the 1967 1st edition. Tight and Near Fine in a crisp, price-intact ($3.50), Near Fine dustjacket. (The book shows a very thin trace of gum along its top-edges from the publisher's original "Plasti-Kleer" jacket cover, now removed). 12mo, dustjacket design by Michael M. Peters. This copy directly from the publisher's personal files. New York: Avalon Books, 1964. Cloth. Very Good +/Near Fine. The 1964 1st edition. Solid and VG+ in a crisp, price-clipped, Near Fine dustjacket. (The book shows a thin trace of gum along its edges and the dustjacket shows very light creasing to the covers from the publisher's original "Plasti-Kleer" jacket cover, now removed). 12mo, dustjacket design by Gray Morrow. This copy directly from the publisher's personal files. New York: Avalon Books, 1965. Cloth. Fine/Fine. An immaculate copy of the 1965 1st edition. Clean and Fine in a crisp, price-intact ($3.25), Fine dustjacket. 12mo, jacket design by Gray Morrow. This copy directly from the publisher's personal files. New York: Avalon Books, 1967. Cloth. Near Fine/Near Fine. A virtually pristine copy of the 1967 1st edition. Tight and Near Fine (a touch of offsetting at the rear endsheet) in a crisp, price-intact ($3.25), Near Fine dustjacket, with one small small crease at the rear flap-fold. 12mo, jacket design by Michael M. Peters. This copy directly from the publisher's personal files. New York: Avalon Books, 1965. Cloth. Fine/Near Fine. 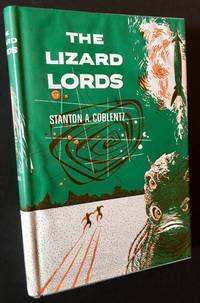 A superb copy of the 1965 1st edition. Tight and Fine in a crisp, price-intact ($3.25), Near Fine dustjacket, with very slight fading along the spine and just a touch of foxing at the flap-fold edges. 12mo, jacket design by Gray Morrow. This copy directly from the publisher's personal files. New York: Avalon Books, 1958. Cloth. Near Fine/Near Fine. The 1958 1st edition. Tight and Near Fine in a crisp, price-intact ($2.75), Near Fine dustjacket. (The book shows a very thin trace of gum along its edges and the dustjacket shows a bit of creasing to the covers from the publisher's original "Plasti-Kleer" jacket cover, now removed). 12mo, the dustjacket art by Ric Binkley. This copy directly from the publisher's personal files. New York: Avalon Books, 1967. Cloth. Fine/Fine. An immaculate copy of the 1967 1st edition. Tight and Fine in a crisp, price-intact ($3.50), Fine dustjacket. 12mo, jacket design by Gray Morrow. This copy directly from the publisher's personal files. New York: Avalon Books, 1959. Cloth. Fine/Very Good. The 1959 1st edition. 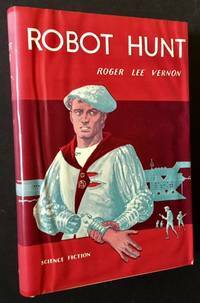 Tight and Fine in a crisp, price-intact ($2.95), VG dustjacket, which shows creasing to the covers (especially the front cover) from the publisher's original "Plasti-Kleer" jacket cover, now removed. 12mo, jacket design by Ed Emshwiller. This copy directly from the publisher's personal files. New York: Avalon Books, 1967. Cloth. Fine/Fine. An immaculate copy of the 1967 1st edition. Tight and Fine in a crisp, price-intact ($3.25), Fine dustjacket. 12mo, dustjacket design by Michael M. Peters. This copy directly from the publisher's personal files. New York: Avalon Books, 1959. Cloth. Very Good/Very Good. The 1959 1st edition. 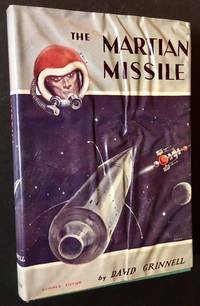 Tight and VG in a crisp, price-intact ($2.95), VG dustjacket. (The book shows a very thin trace of gum along its edges and the dustjacket shows creasing to the covers from the publisher's original "Plasti-Kleer" jacket cover, now removed). 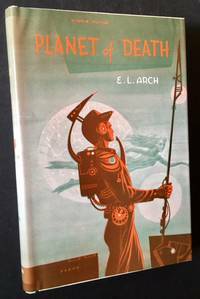 12mo, jacket design by Ed Emshwiller. This copy directly from the publisher's personal files. New York: Avalon Books, 1958. Cloth. Fine/Fine. 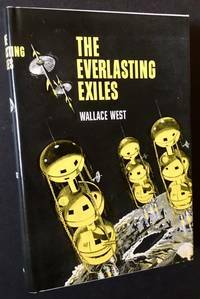 An immaculte copy of the 1958 1st edition, written pseudonymously by Robert Silverberg. Clean and Fine in a crisp, price-intact ($2.75), Fine dustjacket. 12mo, dustjacket design by Ric Binkley. This copy directly from the publisher's personal files. New York: Avalon Books, 1964. Cloth. Fine/Near Fine. An all-but-pristine copy of the 1964 1st edition. Tight and Fine in a crisp, price-intact ($2.95), Near Fine dustjacket, with one small crease at the front flap. 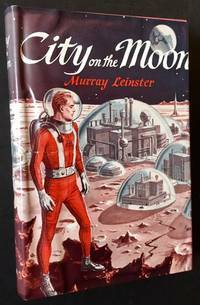 12mo, dustjacket sesign by Ed Emshwiller. This copy directly from the publisher's personal files. New York: Avalon Books, 1959. Cloth. Very Good +/Very Good +. A crisp, tight copy of the 1959 1st edition. Solid and VG+ in a bright, price-intact ($2.95), VG+ dustjacket. (The book shows a very thin trace of gum along its edges and the dustjacket shows light creasing to the covers from the publisher's original "Plasti-Kleer" jacket cover, now removed). 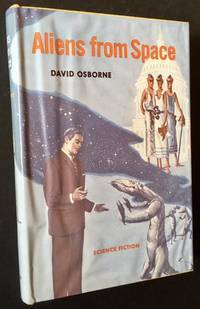 12mo, dustjacket design by Ed Emshwiller. This copy directly from the publisher's personal files. New York: Avalon Books, 1957. Cloth. Very Good +/Very Good +. 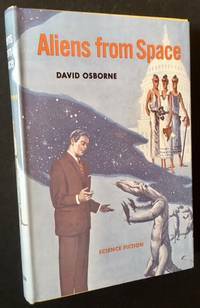 A very solid copy of the 1957 1st edition. Tight and VG+ (light offsetting at the inner hinges) in a crisp, price-intact, VG+ dustjacket. 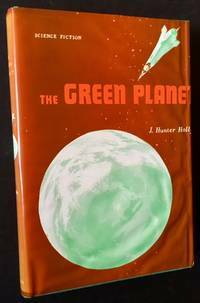 The book shows a very thin trace of gum along its edges and the dustjacket shows light creasing --and one razor-thin cut-- to the covers from the publisher's original "Plasti-Kleer" jacket cover, now removed. 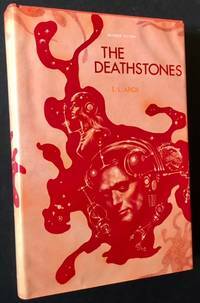 12mo, jacket design by Ed Emshwiller. This copy directly from the publisher's personal files. New York: Avalon Books, 1958. Cloth. Very Good +/Very Good +. 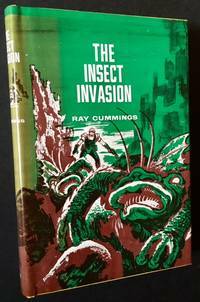 The 1958 1st edition. Solid and VG+ in a crisp, price-intact ($2.75), VG+ dustjacket. (The book shows a very thin trace of gum along its top-edges and the dustjacket shows light creasing to the covers from the publisher's original "Plasti-Kleer" jacket cover, now removed). 12mo, dustjacket design by Ric Binkley. This copy directly from the publisher's personal files. New York: Avalon Books, 1964. A solid copy of the 1964 1st edition. 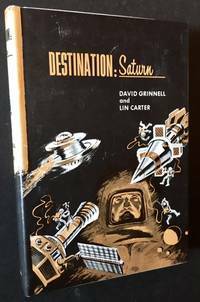 Tight and Near Fine in a crisp, price-intact ($2.95), VG+ dustjacket, with light creasing to the panels. 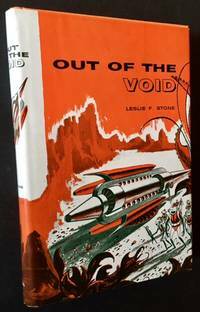 12mo, dustjacket design by Ed Emshwiller. This copy directly from the publisher's personal files. New York: Avalon Books, 1960. Cloth. Fine/Very Good +. 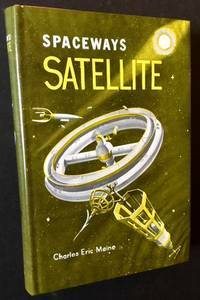 A solid copy of the 1960 1st edition. 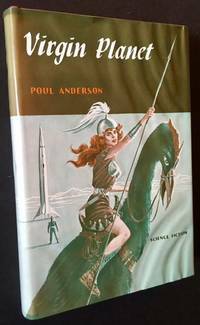 Tight and Fine in a crisp, price-intact ($2.95), VG+ dustjacket, which shows creasing to the panels (especially the rear panel) from the publisher's original "Plasti-Kleer" dustjacket cover, now removed. 12mo, jacket design by Ed Emshwiller. This copy directly from the publisher's personal files. New York: Avalon Books, 1967. Cloth. Fine/Near Fine. A very sharp copy of the 1967 1st edition. 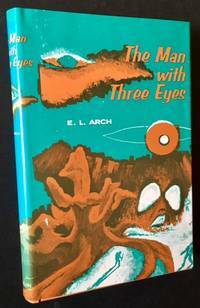 Tight and Fine in a crisp, price-intact ($3.25), Near Fine dustjacket, with light fading along the spine, extending into a small part of the front panel. 12mo, dustjcket design by Michael M. Peters. This copy directly from the publisher's personal files.